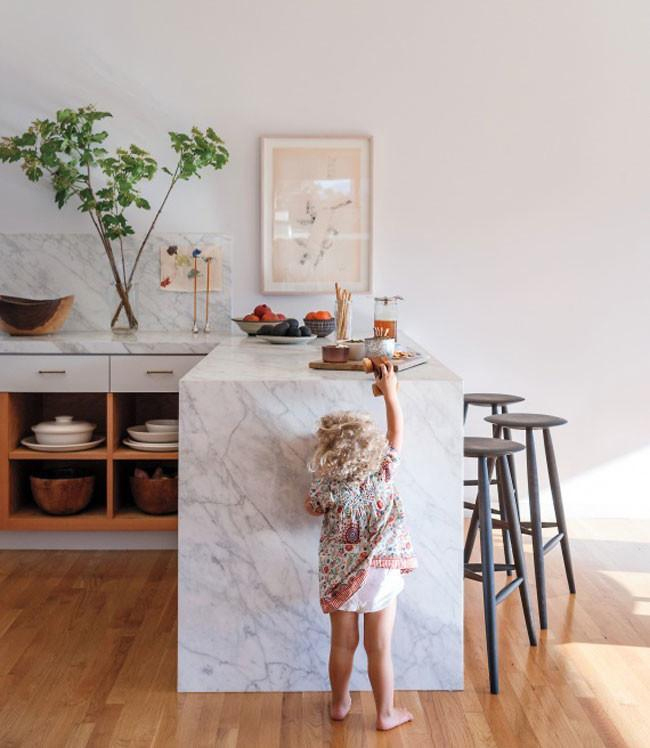 like probably everyone else in the world, i loooove marble kitchen countertops — i’ve always kind of hoped my future dream kitchen would have them. 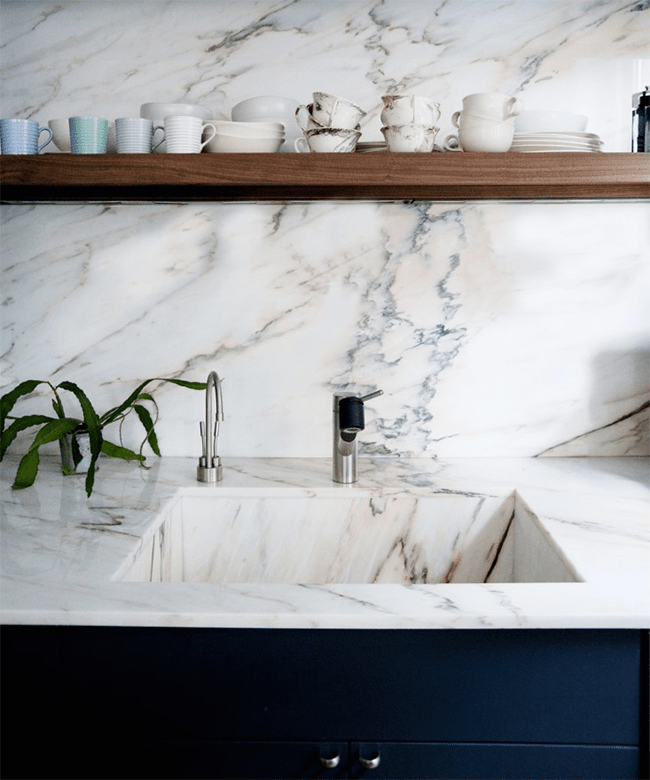 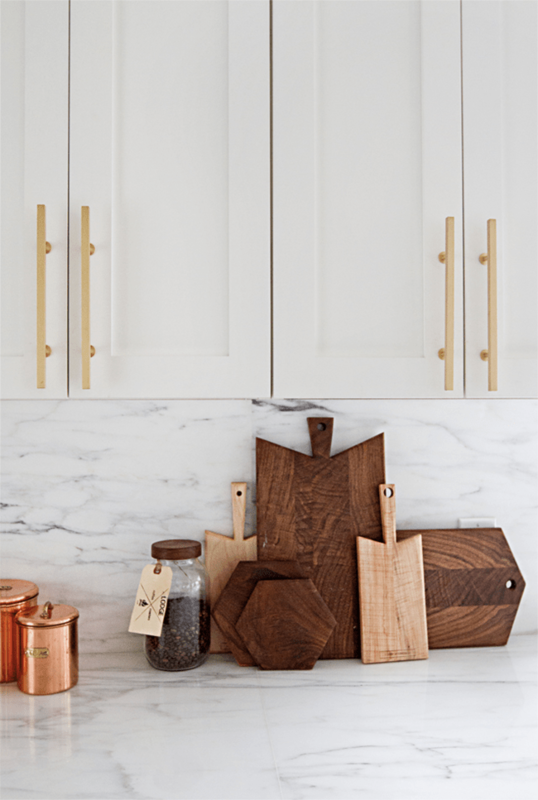 now that we’re talking about what we want to do to our real future kitchen, we’re thinking marble is not the way to go — as we’re pretty rough in the kitchen and we just don’t think they’ll be durable enough for us. 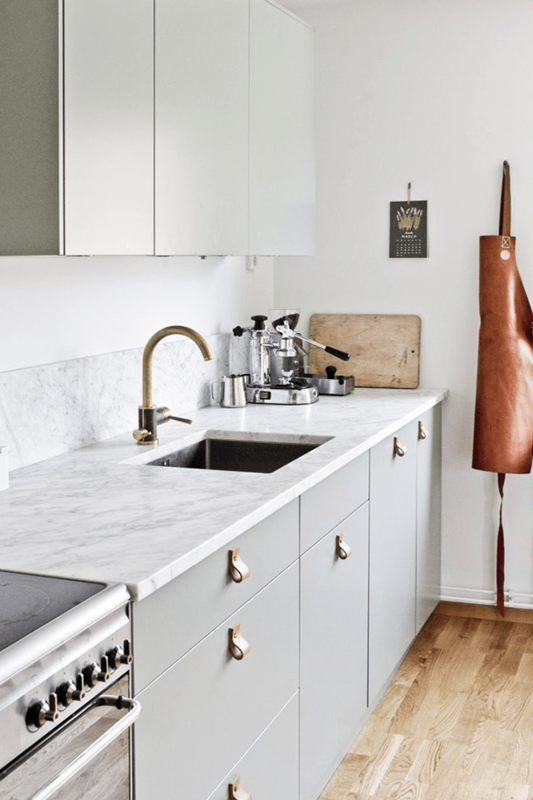 so instead i’m rounding them up to just swoon over what won’t be. 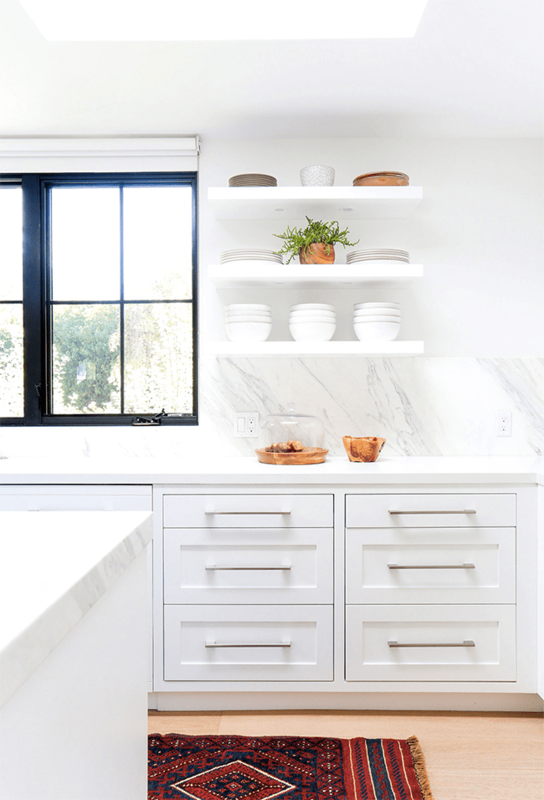 we’ve discussed having white counters with a marble backsplash because they did it on property brothers and it looked pretty good. 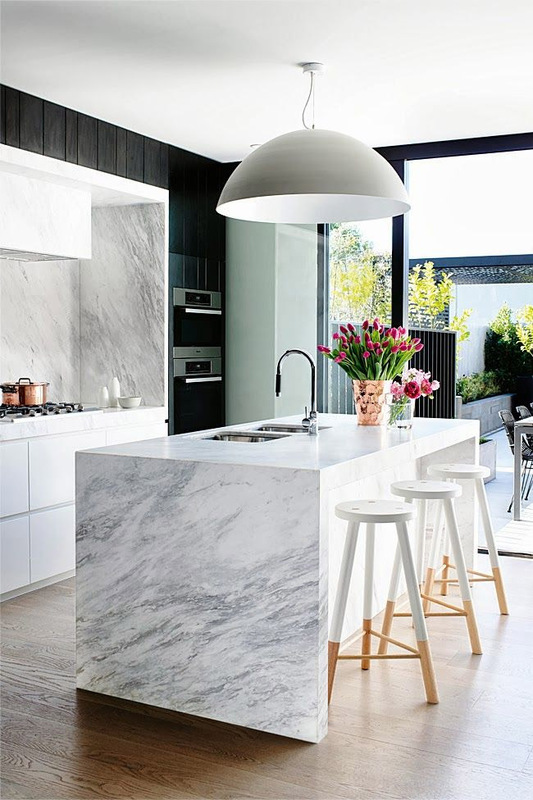 but maybe it’s not as cool as just as all marble like these. 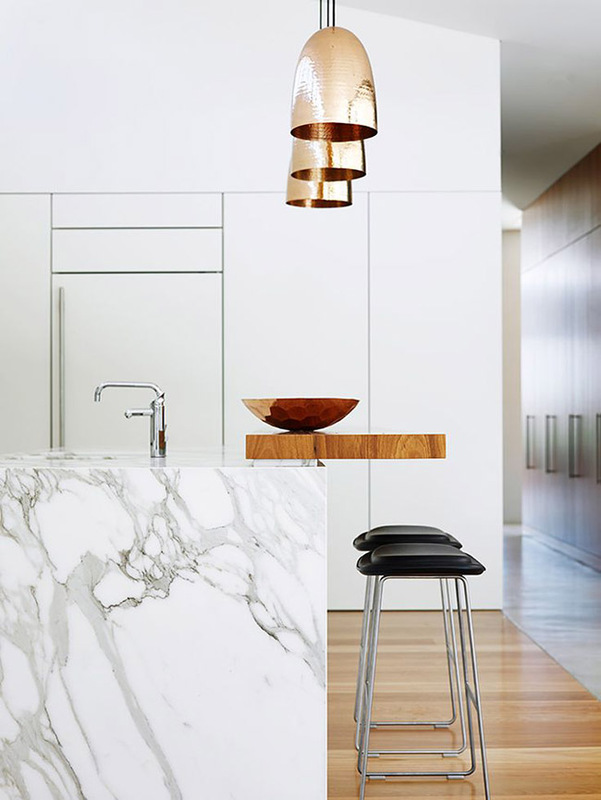 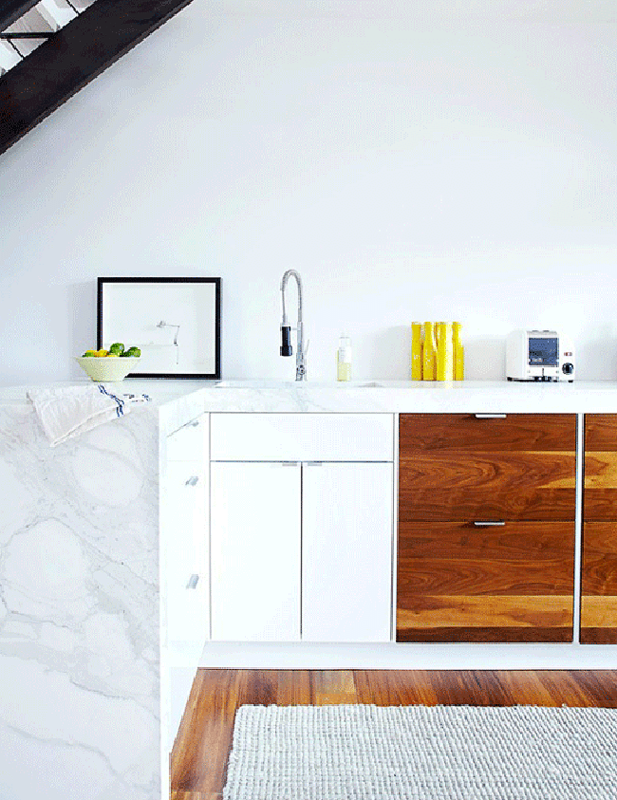 well so marble kitchens look dope right? 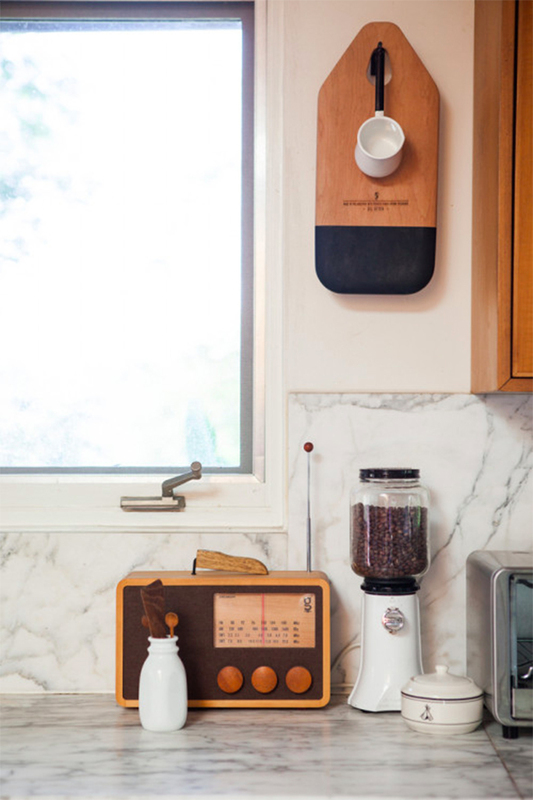 i’d probably just sit around all day making sure no one damaged mine while taking photos of my counters for instagram. 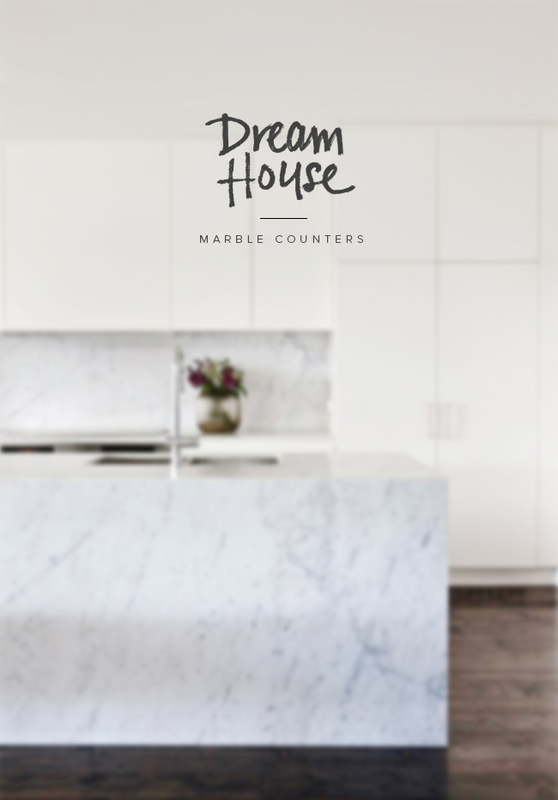 The post dream house : marble counters appeared first on almost makes perfect.